We offer our clients a wide range of nickel alloy tubes that are fabricated using high grade nickel alloy. These nickel alloy tubes are in conformation with the international quality standards and are known for robust design, high performance and durability. 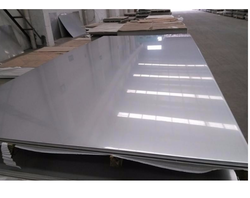 Available with us is a wide and remarkable range of Nickel Alloy Plates And Sheets. These are manufactured employing latest machines, tools and technology in synchronization with industry norms. Our offered plates are sheets are acknowledged in the market for their dimensional stability & excellent finishing. 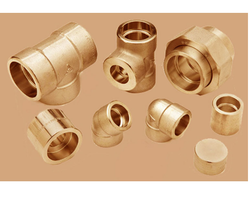 Cupro Nickel Pipe Fittings in order to fulfill the changing demands of our clients, we are offering a quality range of Cupro Nickel Pipe Fittings. 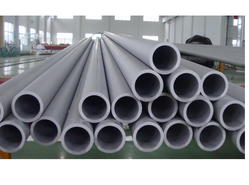 We hold stock of a variety of Nickel Alloy Pipes in pipes, sheet, plate, bar & fittings. Nickel Alloys are highly corrosion resistant and are used in a number of different industry sectors. Nickel is highly resistant to seawater corrosion so it's perfect for Offshore Oil and Gas applications whilst its hi-temperature resistance makes it ideal in power generation, aerospace, nuclear and chemical applications.